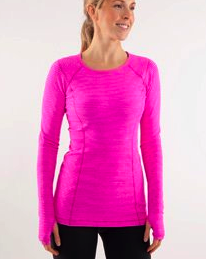 Thanks to ‘N’ from Lulu This Just In for sharing that her store (US) now has the Paris Pink Turn Around LS. I also just got this image from ‘L’ in my inbox who got her stores product notification just as I was reading the post on TJI so thanks to the both of you! Definitely on my wish list! "Real Life Photos Of Paris Pink Turn Around Long Sleeve"